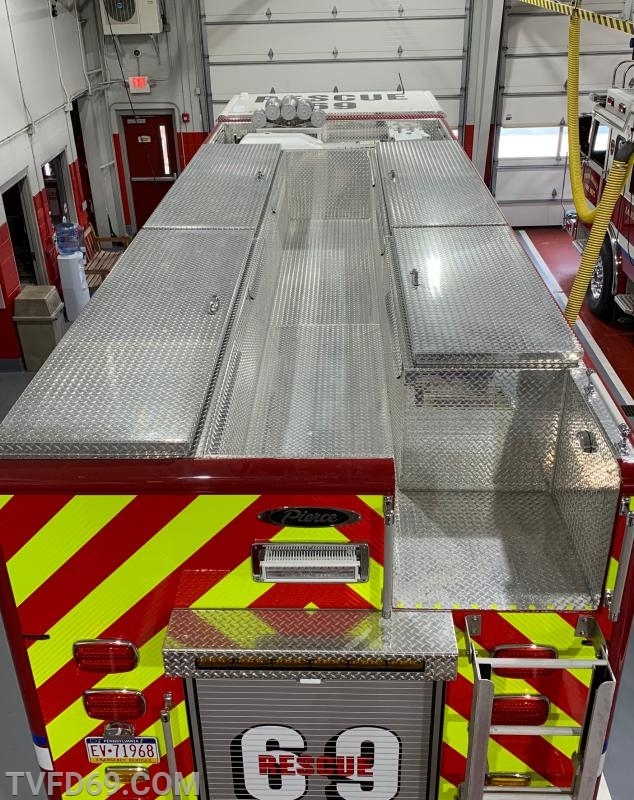 TVFD members proudly announce the department's newest piece of apparatus has been placed into service. 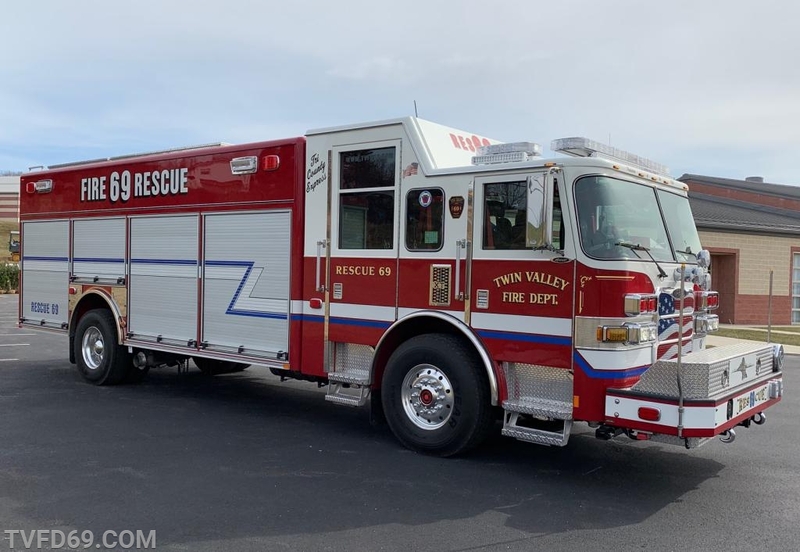 The new unit is a 2018 Pierce Arrow XT Non-Walkin Rescue designated as "Rescue 69". 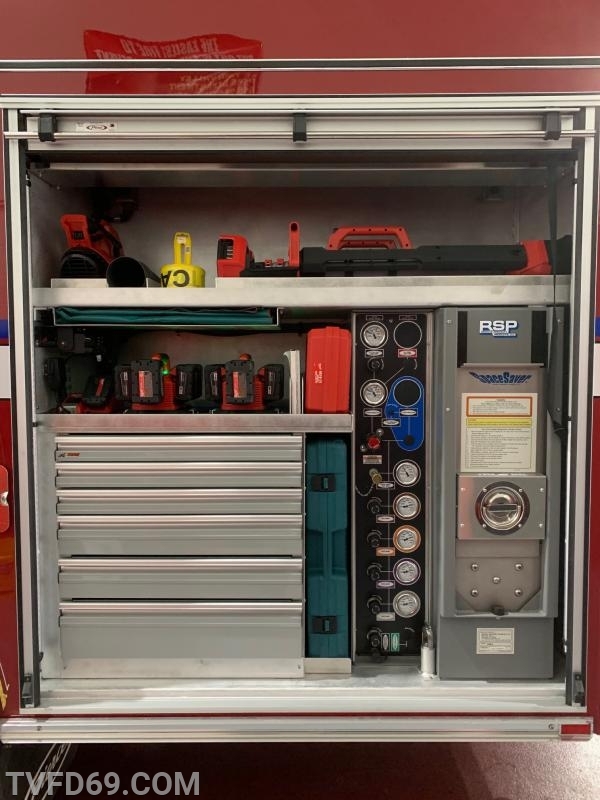 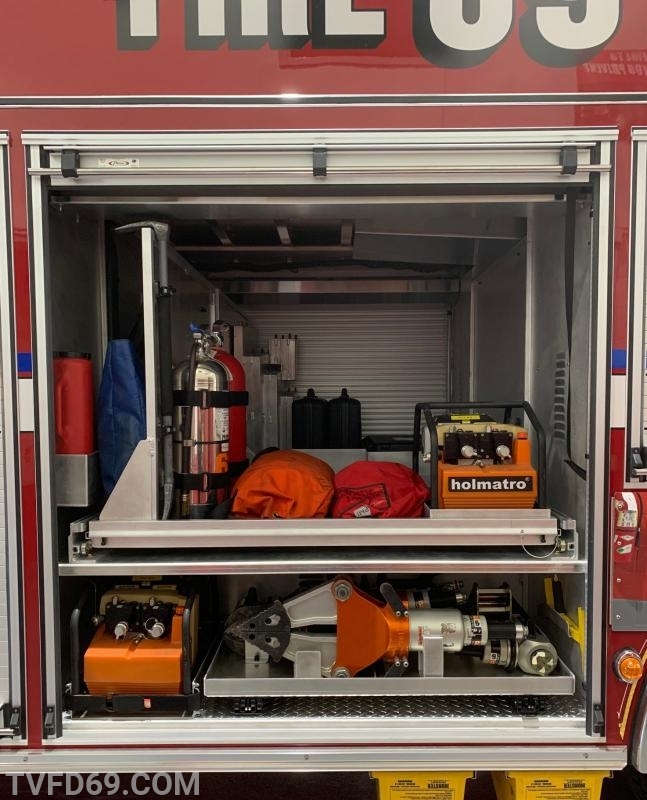 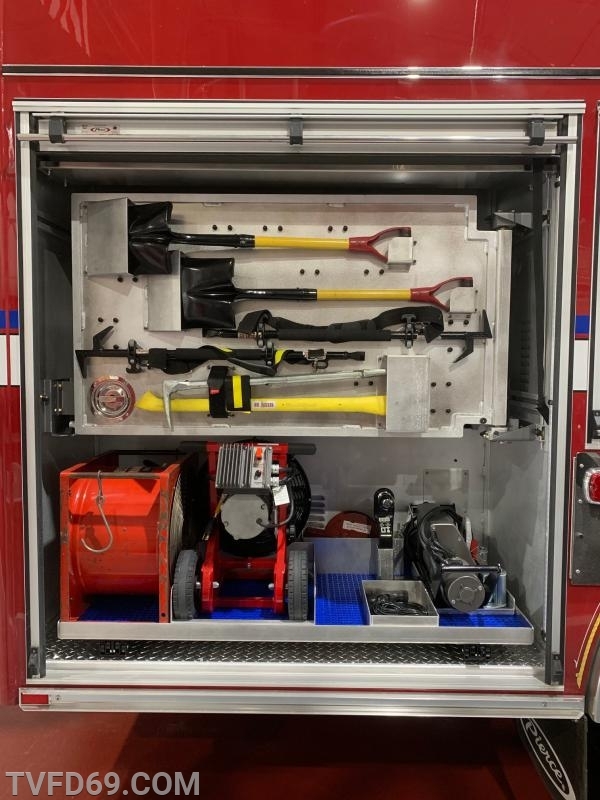 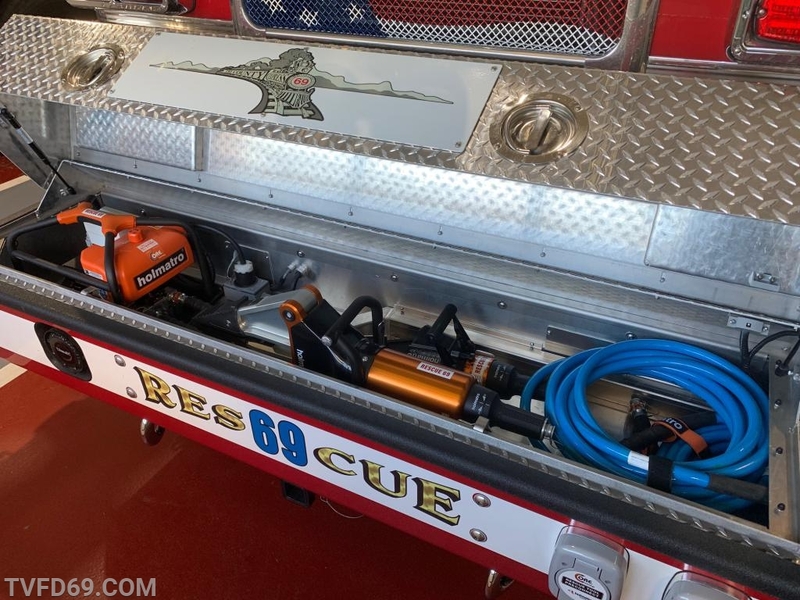 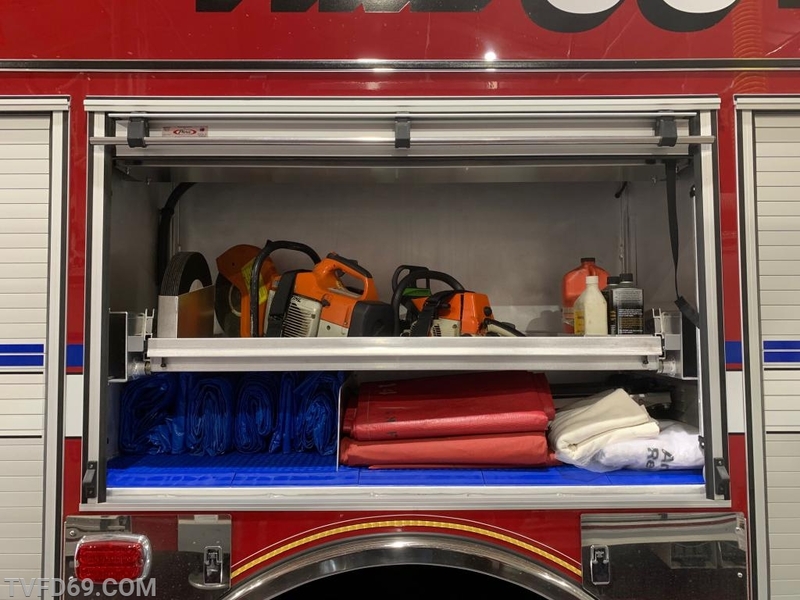 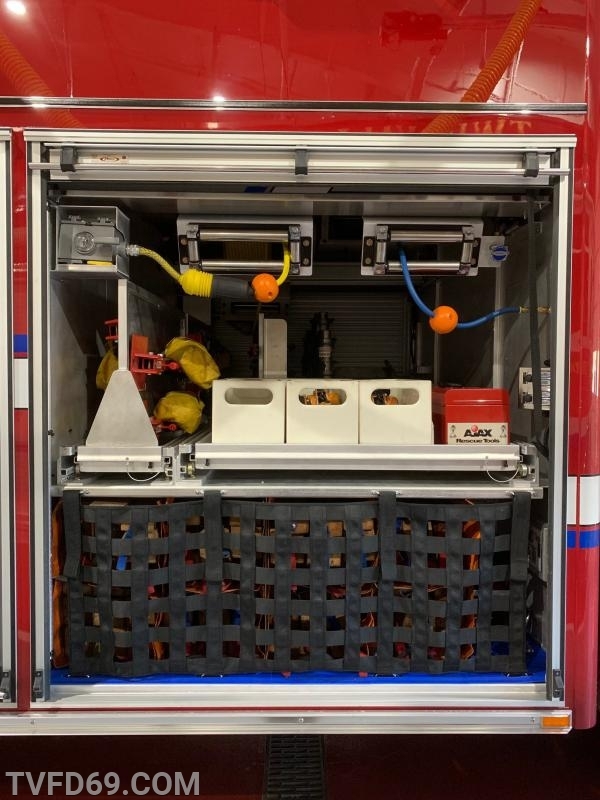 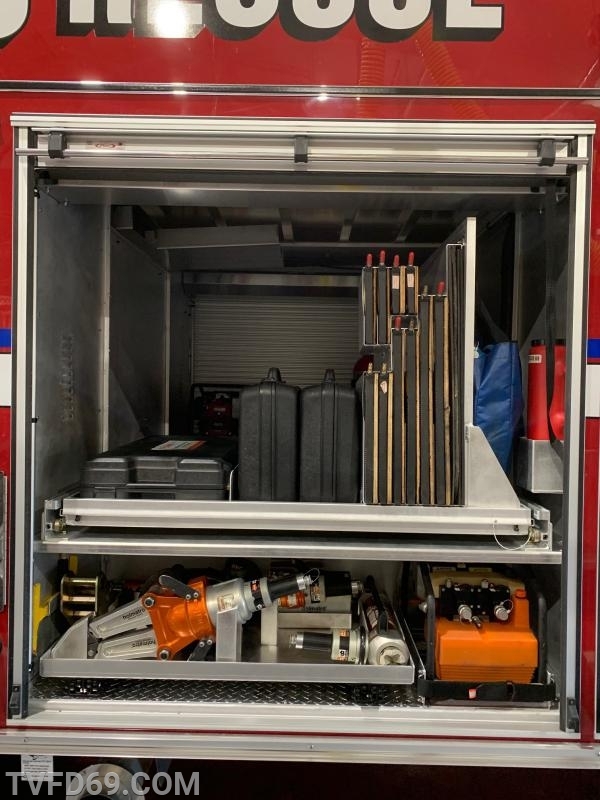 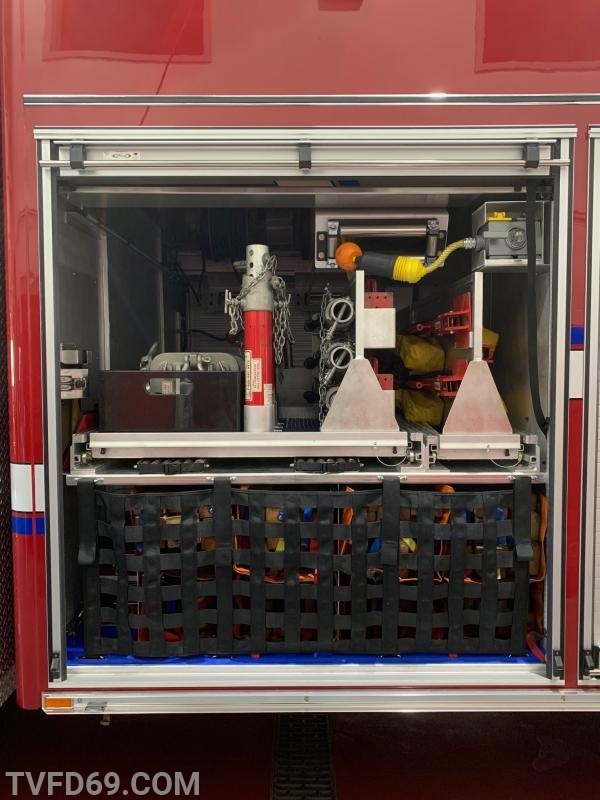 This unit features a wide assortment of rescue company tools, including several full sets of vehicle extrication equipment, firefighting tools, hazmat, water rescue, rope rescue equipment, and a cascade system. 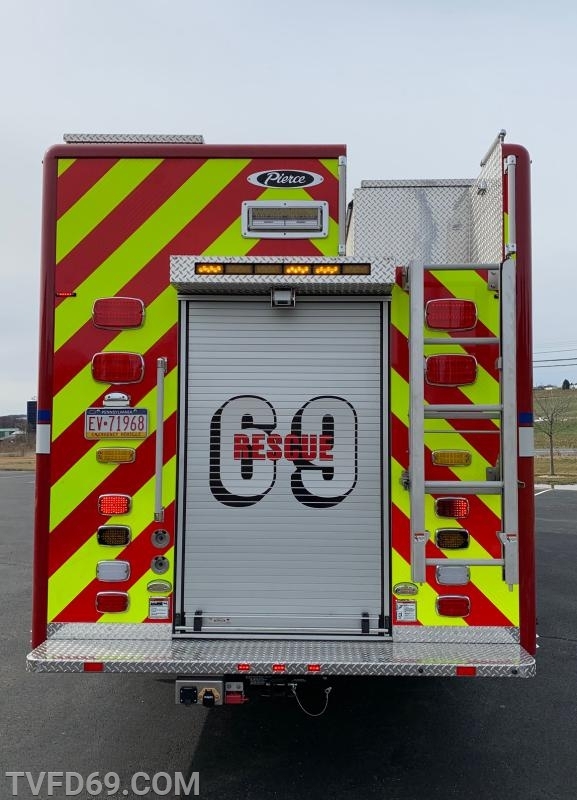 Many hours of designing, inspecting, preparing, and training went into getting Rescue 69 into service. 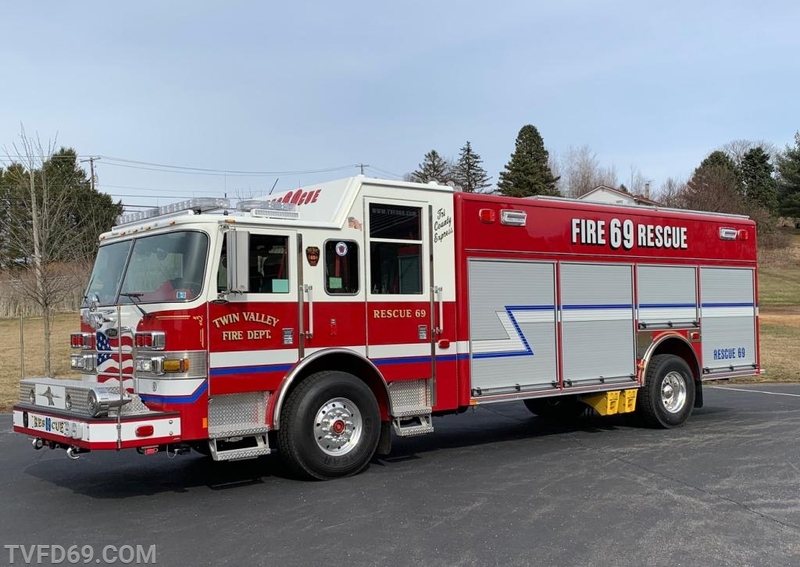 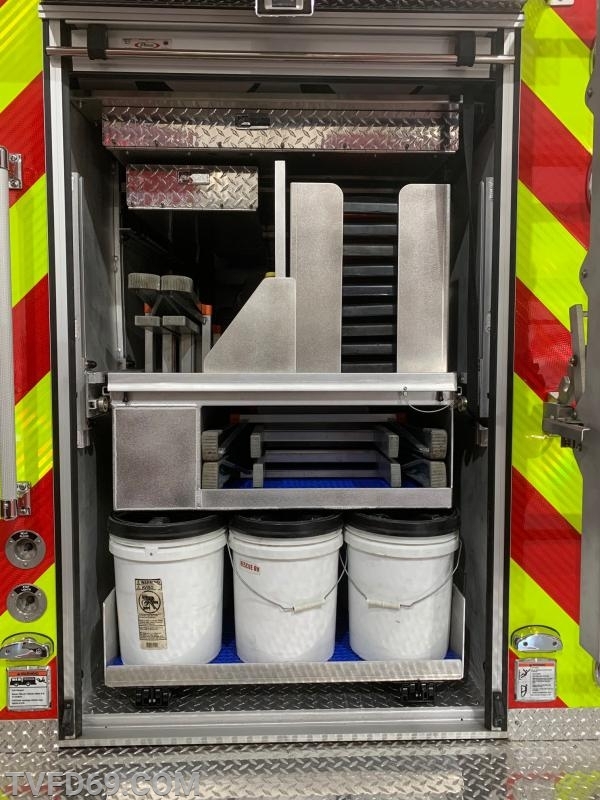 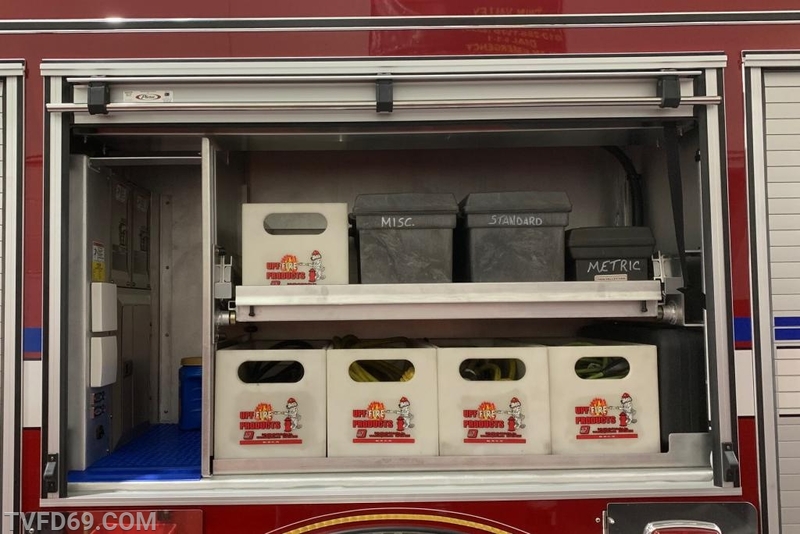 Special thanks to Pierce Manufacturing, Glick Fire Equipment, Salesman Curt Woerth, ESI Equipment, Metropolitan Communications, our community and municipalities we serve, as well as all the TVFD members who helped make this addition to the 69 fleet possible. 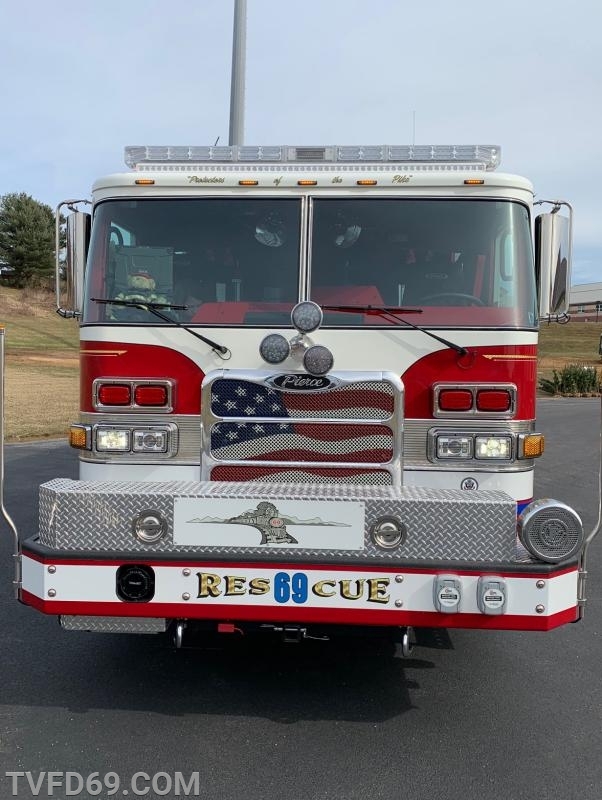 The new Rescue 69 is replacing a 2006 Pierce Enforcer that has been purchased by Telford Fire Company in Montgomery County.